It’s dark and it’s pouring cats and dogs. Inside, even before the sun rose, people began to trickle in. Then they came in droves. Soon, the place was packed. It was still pouring outside. But inside, the people had gathered for a meeting. A pre-dawn meeting. How awesome is that! 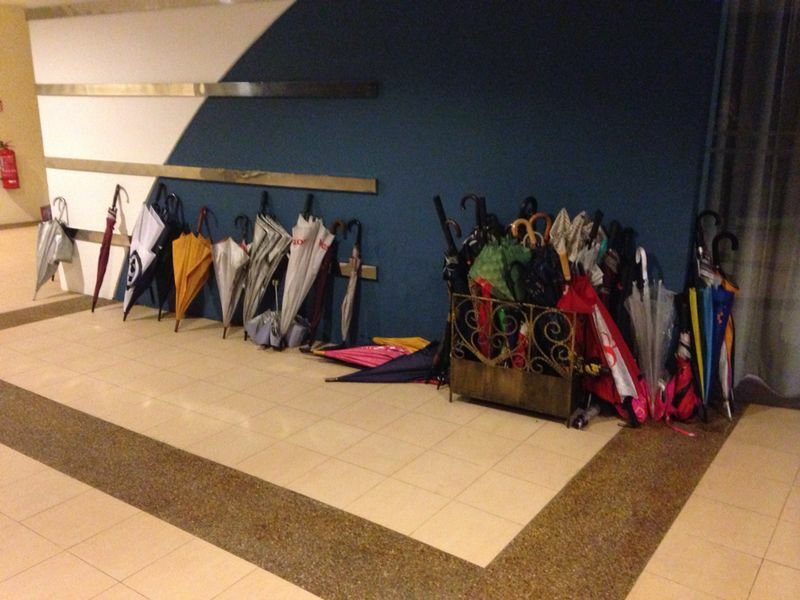 This, then, was the sight that greeted those who arrived late – the umbrella holder is overflowing. There are umbrellas all over the foyer outside to avoid wetting the carpet inside. Wow! This entry was posted on 12/09/2014 at 22:00 and is filed under Event. You can follow any responses to this entry through the RSS 2.0 feed. You can leave a response, or trackback from your own site.